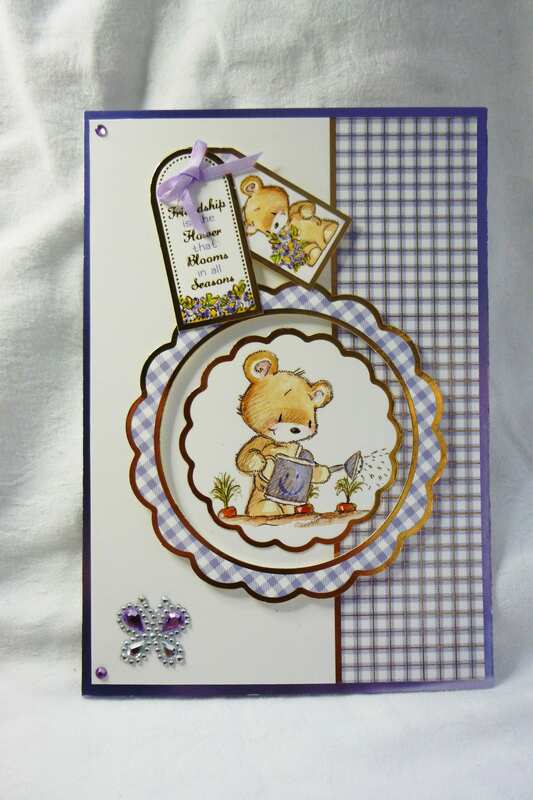 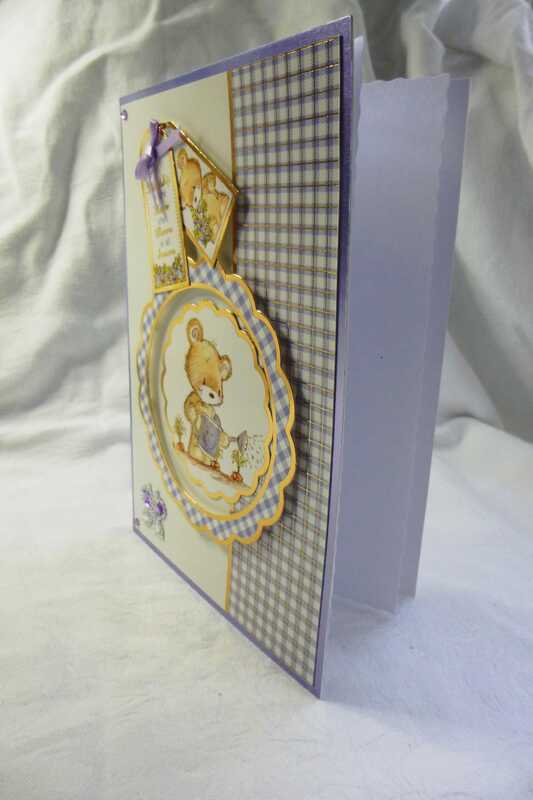 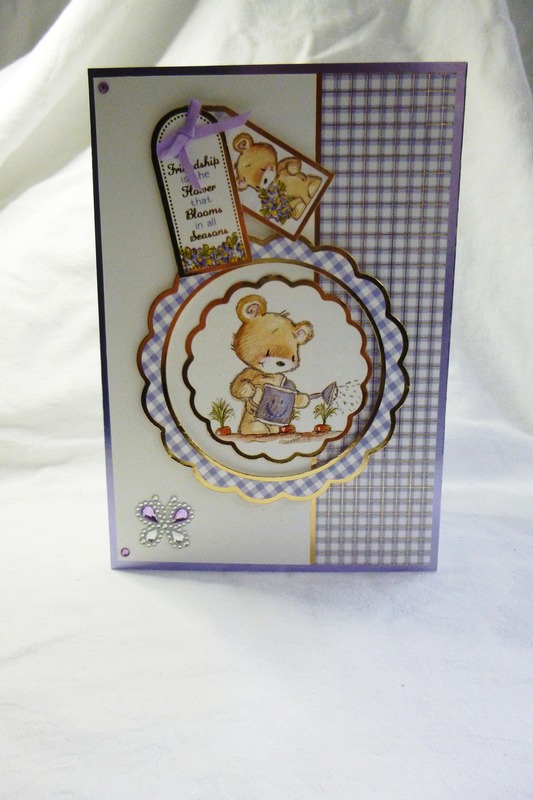 A cute birthday/ friendship card, made from white base card, and layered with lilac metallic card and patterned card, with a round scalloped edge frame and topper in the centre of the card. 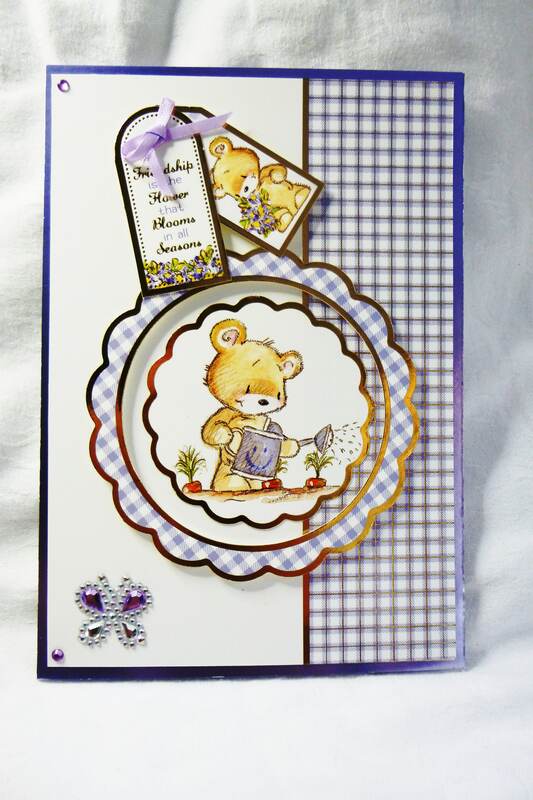 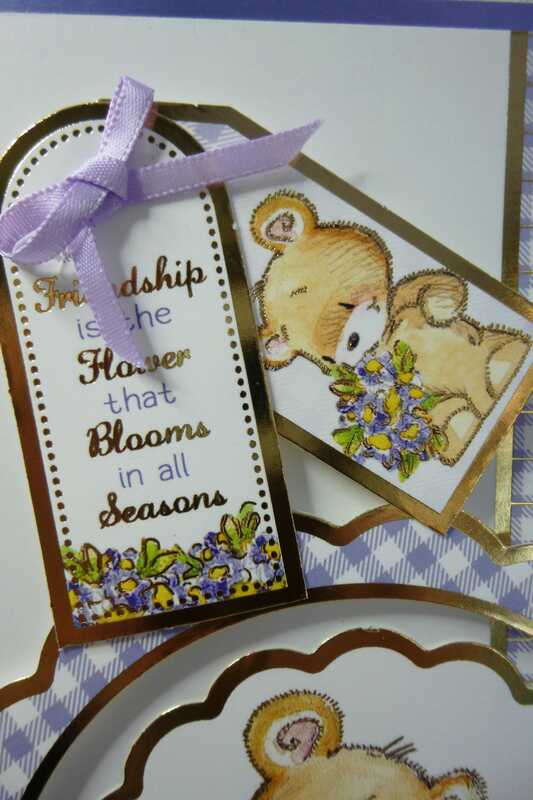 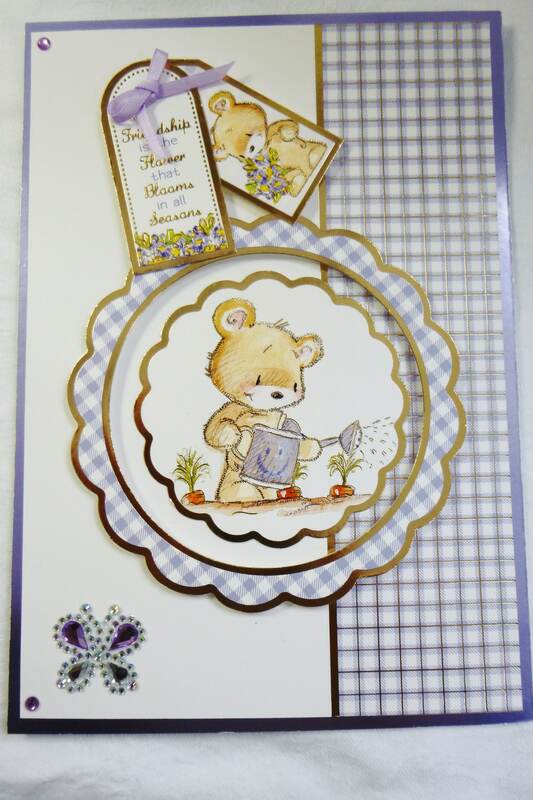 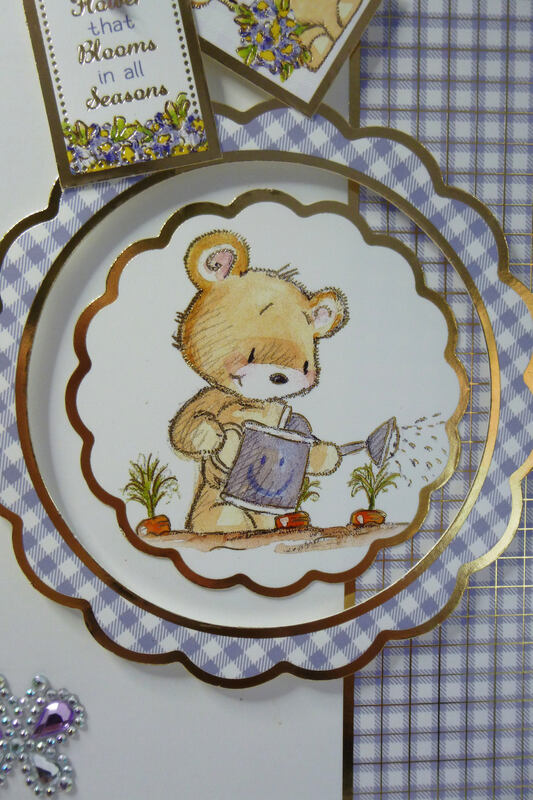 There are two small tags at the top of the card one with a bear on it an the other the sentiment which says,'Friendship is the Flower that Blooms in all Seasons'. 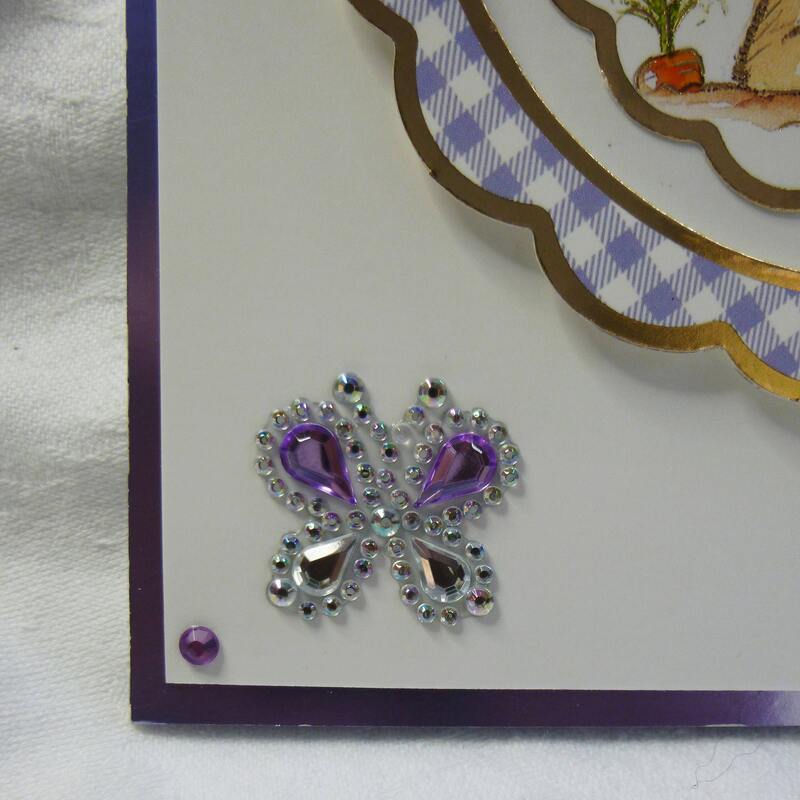 On the left hand side of the card at the top and bottom are two lilac crystal embellishments, and a small clear and lilac crystal butterfly. 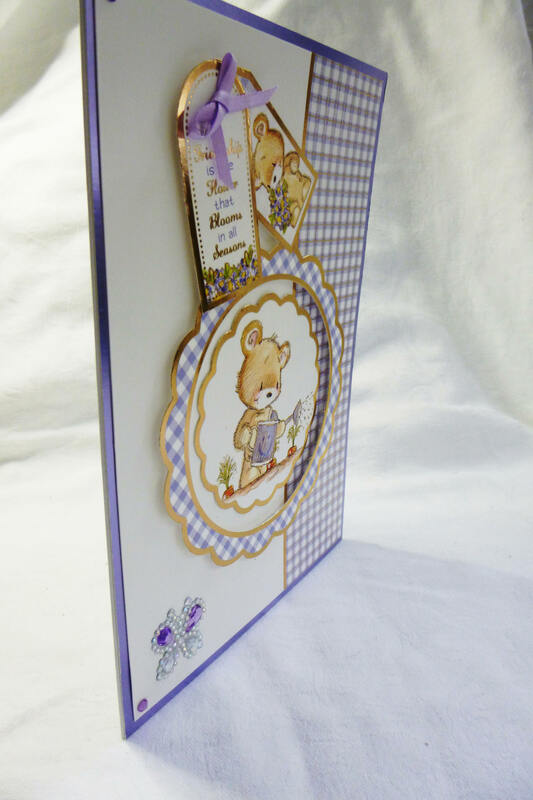 Inside the card is plain white insert paper left blank for you to write your own personal message.